At Chiro|Sport the name of the game is Recovery. We want to help the Omaha sports community test their limits and push their bodies to the max. That's where our Recovery Zone sets us apart from the other physicians in Omaha. We continue to grow and offer you natural options to better recover for long tournaments, challenging training sessions, and staying in the game without pain. The high tech, low stress solution for quick, comprehensive leg recovery. Whether your focus is running, climbing, cross-training, team sports or power lifting, wearing NormaTec’s electronically stimulated leg compression boots after an intense workout can help rejuvenate the muscle tissue and dramatically reduce tightness and soreness—meaning less downtime and greater productivity. Cupping has become immensely more popular in the last 5 years or so and one we use regularly in the clinic. Athletes from various sports are noticing the relief from muscle aches and pains, improved range of motion, and stronger training sessions as a result. The lifting nature of the cups opens up the areas between the skin, fascia, and muscle tissues removing subtle adhesions in the area. This allows for more efficient movement of fluid (primarily blood) in and out of the muscles and fascia. The Hypervolt is the ideal device for an athlete’s muscle treatment. The powerful, high-torque motor creates intense blood flow to help the muscle recover without the pain normally associated with deep muscle treatment. The increased muscular blood flow caused by the Hypervolt produces numerous benefits for athletes, driving improved performance. Please note: Purchasing by the pack is good for one year. When ordering a monthly membership there is a 3-month minimum membership period. 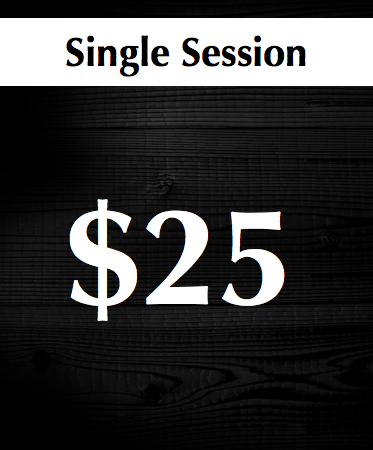 For example, if you order a 6-session/month membership, you will be charged $100 per month for 3 months. We do allow packs and sessions to be transferable with some restrictions. Treatments include: NormaTec Compression Therapy, Sports Cupping, Vibration Massage or Graston Technique Soft Tissue Mobilization. These prices are not applicable to chiropractic treatments. Get a package for your team, family, or employees today! The following techniques are regularly used in our office as well. These therapies have the ability to decrease pain, enhance healing, and promote better and more efficient movement. The picture to the right shows an accurate progression of muscle dysfunction. In the 1st photo, you see parallel fibers that easily slide when contracted and relaxed (functional movement). The 2nd photo shows what happens to muscle when we workout or suffer a strain type injury. The 3rd shows what can happen when those injured muscles are NOT properly healed or treated. The idea for the treatments below is to return the muscle to its pre-injured state.